Musicians who have a big sporting background in unusual, but true in the case of Ryan Aderréy, who studied at Boston University, and was given a once in a lifetime opportunity to play for a soccer team in Amsterdam. While he was there, he discovered that the fans watching him at his matches were people who could listen to his music. That discovery definitely helped Aderréy, as his music has won impressive awards, including Best Alternative Song at the Hollywood Music In Media Awards and L.A. Music Critics Award for Best E.P. (Male). With the EP containing just 5 songs, there's enough space for Aderréy to show what he can do and why he won all of those awards - he does just that, with 'They Say' being a catchy pop anthem, definitely a radio hit and his voice throughout this song (and the whole EP in fact) being reminiscent of pop-stars like Adam Lambert, strong chorus beats but stereotypical lyrics of all pop songs. Single 'Breathe The World In' shows another side of Aderréy, with him rapping in the second verse of the song and making the listener curious as to why he doesn't rap more to break up the pop in the record. Being Aderréy's second EP, it's certainly impressive, shows many dimensions of his personality and how he has improved from his first musical experiments, with the addition of Latin in the title making it all more appeasing. 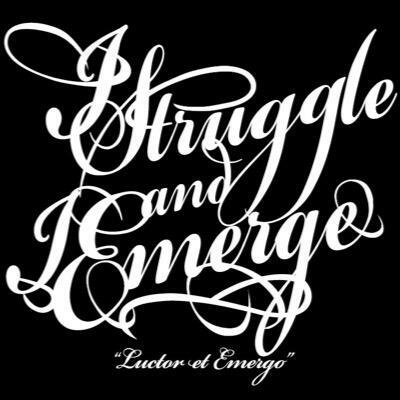 You can buy Ryan Aderréy's EP I Struggle and I Emerge (Luctor Et Emergo) from Amazon (UK | US), iTunes and Google Play. Also follow Ryan Aderréy on Twitter, Instagram and like his page on Facebook. Follow me on Bloglovin' and like my page on Facebook to keep up with what I'm posting next.